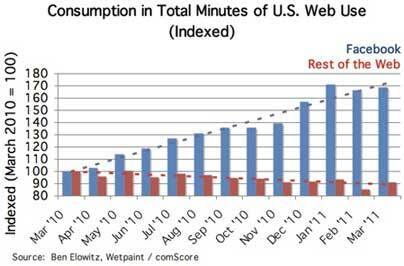 Is #SocialMedia The Culprit for The Growing Yet Shrinking Web? So I recently came across this article and it really got me thinking - is the world wide web as we know it shrinking? A quick overview of the estimated size of Google’s index reveals that there are about 45 billion webpages to date and is showing no signs of stopping. The numbers aren’t surprising as websites have become so affordable and easy to setup throughout the years especially with the introduction of blogs and microblogs. 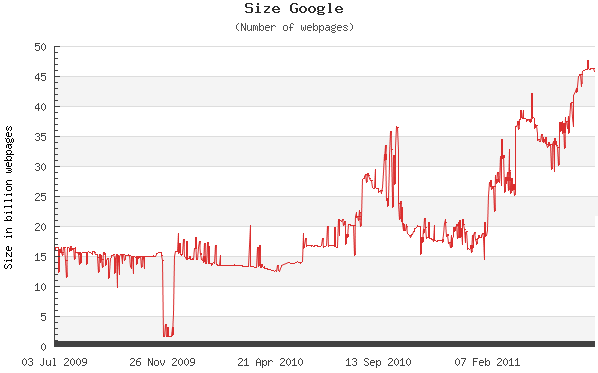 So why is the web also shrinking? In other words, social media tools such as Facebook and Twitter may have (or already have) been replacing the need to discover other websites while enhancing the ability to discover content from all over the world. No longer people are required to look into directories or portals but yet able to remain updated through various social media channels – whether it is Facebook’s News Feed or Twitter’s Timeline. To be honest, I spend even more time on TweetDeck which allows me to discover even more content than what I could possibly absorb in a single day without having the need to Google. I don’t know about you but I do not see social media overtaking /shrinking the web but rather as a gateway to discover even more content. It may be shrinking the door to the web since many people I know start out the web by first subscribing for an email account (mostly Gmail), followed by a Facebook account and they’ll stay like that at least for a while but through that door there are content, content and even more content. 1. Stop watching. Start connecting! If you’ve only been sitting on the sidelines watching all the action, it is time for you to get connected. Start talking to those with similar interests and you’ll find that it is not that difficult after all! There are tons of #hashtags on Twitter to get you started on this one. 2. Create your own content. When you’re feeling a little more confident, perhaps it’s time for you to create your own content. Yes, to contribute back to the masses of information in the web and yes, even you have something you can share – be it based on a passion, an interest on a specific topic or simply a hobby. 3. Maximize content discovery. Don’t just sit and wait for great content to appear on your news feed. If you’ve found one, subscribe to it to stay updated. If you’re on Twitter, creating lists is a great way to organize your busy timeline into different groups. 4. Don’t be stingy. Share that great content you’ve found! It’s only a click away. Perhaps the right question to ask is: How do you discover information from the web? Which are the sites you go on to every day? How are you maximizing your time on the web? you’ve got the right point, now many of us hooked up with social media to get updated with anything, any topics around us. be it twitter timeline (even google search has it) or facebook wall. but somehow a statistic shown that only in Asia mostly people use facebook to share content link, i’m still figuring on that.